Before Ballon, Turn Right onto N81. 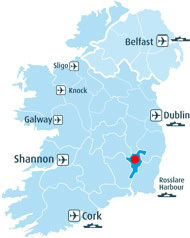 We are on the N81, just before Tullow town on your left. Haben Sie den Ort Ballon erreicht, biegen Sie rechts ab auf die N81. Sie finden uns an der N81 kurz vor Tullow auf der linken Seite. Leave M9 motorway at Junction 4 - heading for Castledermot. In Castledermot, follow signs for R418 to Tullow. 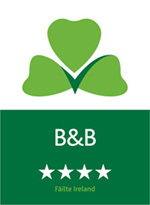 At bridge, take Right for N81 Bunclody Road. 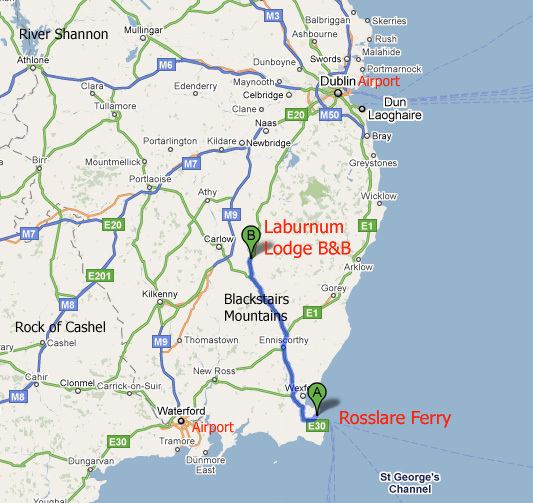 Laburnum Lodge is on your right on the N81.